A few weeks ago, while I was covering the Punjab convention of the Workers Party Pakistan, I met Yousaf Masti Khan, a Baloch politician who provided several useful insights into the issue. Khan is by no stretch of the imagination the prototypical sardar my urban, liberal, democratic friends are so keen to blame for all of Balochistan’s grievances. 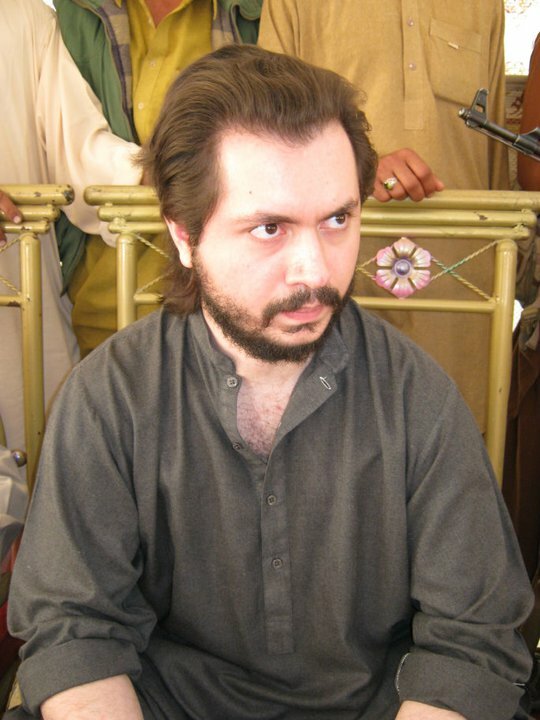 He is a Baloch by birth who now lives in Karachi and is a member of the central executive committee of the WPP, a union of several left-wing parties. For him, the problem is not the sardari system, which he said was embedded in the social fabric and could only be fad away through an evolutionary process. Such a transformation of the Baloch society, Khan contended, would do little good if imposed by outsiders (note: one of the central tenets of the European colonialism was to ‘civilize’ the so-called barbarians, yet post-colonial world is hardly a more civil place to live in). A federation first needs to provide representation to all people falling within its borders, only then can it claim sovereignty over them and their territory. Mir Gul Khan Nasir (Urdu: میر گل خان نصیر) was a prominent progressive poet, politician, historian, and journalist of Balochistan, Pakistan. Born on 14 May 1914 in Noshki. Gul Khan Nasir was named after the political agent of Kharan who had stopped in Noshki on his way to Kharan the very same day that Mir Gul Khan was born. His father’s name was Mir Habib Khan. Habib Khan belonged to the celebrated Paindzai subclan of the Zagr Mengal branch of the Mengal Tribe. Mir Gul Khan’s mother was Bibi Hooran. She was the sister of Mir Raheem Khan, the head of the Rakhshani Badini Tribe. She was a learned woman who knew how to read Persian and also the Quran (which is in Arabic) which, at that time, was considered quite an achievement for a man, let alone a woman. She played a most pivotal role in moulding her sons. Gul Khan was number four among five brothers. He also had three sisters. His eldest brother Mir Samand Khan (born c.1889) had served in the British Army and also as a commander in Khan of Kalat’s army. His second brother Mir Lawang Khan (born c.1901) was a well known tribal politician and also had the reputation of being an excellent self-taught local doctor. He died on 7th August, 1973 while fighting with the Pakistan Army during the 1973 Military Operation carried out in Balochistan by the Federal Government of Pakistan. Mir Lawang Khan holds an important place in the hearts and souls of the Baloch people as one of the many martyrs of the Balochistan. 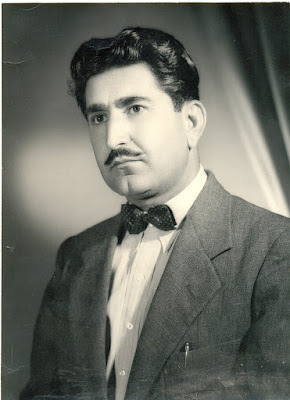 Mir Gul Khan’s third brother Mir Lal Bux Mengal (born c.1906) also served for a while in Khan of Kalat’s army during which time he held a commanding position in Makran. On the fourth number was Gul Khan, himself. His younger bother Sultan Mohammad Khan (born c.1918) served in the British Army before the Partition of India and in the Pakistan Army after the Partition. He rose to the rank of Lieutenant Colonel in the Pakistan Army and retired in 1966. Sultan Mohammad also held pivotal positions in Balochistan after his retirement, such as the Vice Chancellor of The Balochistan University, The Commander of Dehi Muhaafiz (now known as Balochistan Reserve Police) and as the Project Director Kohlu. Gul Khan Nasir studied until fifth grade in Noshki. Then he went to Mastung where his uncle was in service. He didn’t spend much time there because soon after, his uncle was posted to Quetta. Here, Gul Khan got admission in Government Sandeman High School where he studied until tenth grade. After doing his matriculation from Quetta, Mir Gul Khan went to Lahore where he got admission in Islamia College Lahore in F.Sc. Medical. During the course of his studies, an eye of Mir Gul Khan got infected. In time the infection got so bad that he had to quit his studies and move back to Balochistan. While Mir Gul Khan was studying in Mastung, he was quite impressed by Abdul Aziz Kurd, Malik Faiz Muhammad Yousafzai, Mir Mohammad Aazam Khan Shahwani and others who were running a secret political group, the “Anjuman-i Ithihaad-i Balochaan”. It was in Mastung that Mir Gul Khan became friends with Malik Abdul Rahim Khwajakhel who was a year senior to Mir Gul Khan. 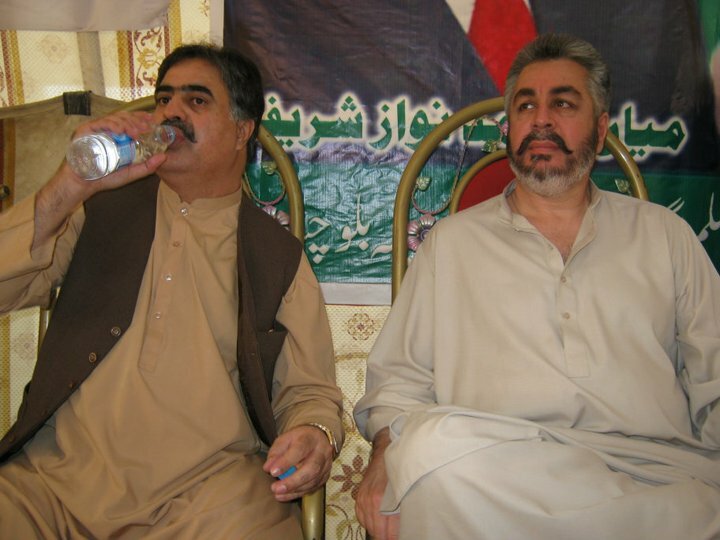 Malik Abdul Rahim Khwajakhel and Mir Gul Khan remained close friends until Malik Rahim’s death. Mir Gul Khan had been doing poetry since the age of eight but it was during his time in Lahore when he began writing Urdu poetry which was of a revolutionary nature. This poetry of his became very popular and was published in the newspapers under his pen name Nasir which he chose as a tribute to Mir Nasir Khan The First (The Ninth Khan of Kalat, also known as Noori Nasir Khan). These Urdu poems of his, like Nawab Youzaf Ali Khan Magsi and Mohammad Hussain Anqa’s poems, were aimed at raising the political awareness of the Baloch people, especially, the youth. During his time at Lahore Mir Gul Khan played an important role in the students organization “Baloch aur Balochistani Thalbaa kee Anjuman” (B.B.S.O) which was formed by Mureed Hussain Khan Magsi and other Baloch students on the advice of Mir Yousaf Ali Khan Magsi. After the Anjuman-i Ithihaad-i Balochaan disbanded, the Baloch youth organized to form the Anjuman-i Islamia Kalat. Malik Abdul Raheem Khwaja Khail was elected the General Secretary of this organization while Mir Gul Khan Nasir was the President. This Party was formed as an Organization aimed at making social reforms but it carried a covert political mission and that was to obtain independence from the British and form a democratic government in Kalat. When Khan of Kalat got wind of the Anjuman’s political mission, he first tried to prosecute them but after failing in that he scattered the leadership by posting them on government posts in different parts of Balochistan. Due to this the Anjuman- Islamia Kalat stopped functioning. On 5th February, 1937 the Baloch youth once again got together and formed a new political organization by the name of “Kalat State National Party” (KSNP). Mir Abdul Aziz Kurd was elected its President, Mir Gul Khan Nasir the Vice President and Malik Faiz Muhammad Yousafzai became the Secretary General. The Kalat State National Party was affiliated with the Indian National Congress. It played an important role in curbing the power and influence of the Tribal Chieftans or Sardars, abolition of cruel and unusual taxes imposed on the poor by the Sardars and formation of a democratically elected Parliament fashioned after the British Parliament on Kalat State’s independence. The KSNP had several ups and downs with the Khan of Kalat. At first most of the top leaders of the party such as Abdul Aziz Kurd, Faiz Muhammad Yoyusafzai, Gul Khan Nasir, Abdul Rahim Khwajakhel etc. were serving as government officials. In 1939, during an annual session of KSNP in which Mir Ghaus Bakhsh Bizenjo was also taking part as a representative of a Karachi-based political party, some thugs sent by the local sardars tried to disrupt the rally by firing at the participants. After that all the members of the Party who had government jobs resigned and were arrested. This was the incident which caused Mir Ghaus Bakhsh Bizenjo to join the KSNP. After some time the Khan reconciliated with the KSNP leaders and reemployed them as government officials. Once again tensions rose between the KSNP and the Khan of Kalat and this time the KSNP leadership resigned for good never to work as government servants again. After the annexation of Kalat State into Pakistan in 1948, the KSNP broke up. The Khan of Kalat, Mir Ahmedyar Khan, suddenly had a craving to join the Muslim League after the annexation but was hesitant to do it alone so he sent Mir Ajmal Khan to Mir Ghaus Bakhsh Bizenjo and Gul Khan Nasir to persuade them into joining the Muslim League with the Khan. Both Gul Khan and Ghaus Bakhsh thought that joining the ML would provide them the platform they needed to raise the voice for Balochistan’s rights. But within days they realized that they would never be able to achieve what they wanted while they were in the Muslim League. So they left the ML never to turn back to it ever again. In the years that followed, Pakistan went through many changes. In 1954 the Communist Party was banned in Pakistan and then in 1955, all the provinces of West Pakistan were merged into one unit. In these conditions the Baloch politicians under the leadership of Mir Ghaus Bakhsh Bizenjo, Mir Gul Khan Nasir, Agha Abdul Karim Khan (the brother of Khan of Kalat), Mohammad Hussain Anqa and Qadir Bux Nizamani formed the “Usthman Gal” which is Balochi for “The People’s Party”. Agha Abdul Karim was elected as the President of this party. In 1956, the “Usthman Gal” was merged into the Pakistan National Party which also included “Khudai Khidmatgar” from N.W.F.P, “Azaad Pakistan Party” from Punjab, “Sindh Mahaaz” from Sindh and “Woror Pashtun” from the Pashtun dominated areas of Balochistan. In this way, the Paksitan National Party emerged as the largest Left-Wing Political Party in West Pakistan. In 1957, The PNP merged with Maulana Bhashani’s Awami League to form the National Awami Party. It was the principle opposition party to the military regime for much of the late 1950’s and mid 1960’s. The party split in 1969 into two factions, the head of one faction remained in newly formed Bangladesh, while the remaining faction became the principle opposition party to the rule of Pakistan’s Prime Minister Zulfiqar Ali Bhutto. The party was outlawed by the Pakistani government in 1975 and much of it’s leadership subsequnetlt imprisoned for alleged anti-state activities. During this period of Ayub Khan’s rule, most of the Baloch leadership including Ghaus Bakhsh Bizenjo, Gul Khan Nasir and Faiz Muhammad Yousafzai were arrested on different charges. They were imprisoned in Quetta’s Quli Camp which was famous for the inhumane torture of its prisoners. Here the Baloch Leaders were subjected to different kinds of torture. They were hung upside down from their feet and beaten, not allowed to sleep for days, laid facedown on the floor while soldiers jumped on their backs with army boots. By the time he was released, Mir Gul Khan couldn’t even walk straight. This was a very important period in the politics of Balochistan because it was in these years that the young and dynamic Sardar Ataullah Khan Mengal and Nawab Khair Bakhsh Marri entered Balochistan’s political scene. It was also during this period that Nawab Akbar Khan Bugti was sacked from his position as the Defence Minister of Pakistan and arrested. As a result of this, he also joined the NAP. During 1960-1970 the National Awami Party or NAP presented strong resistance to the Ayub Regime and for this reason, it’s leaders were constantly in and out of jail. In this decade Ataullah Mengal was catapulted to the top of the Baloch leadership because of his charismatic personality and Nawab Khair Bakhsh Marri also earned a lot of fame because of his political philosophy. Mir Gul Khan Nasir went to jail around 5-6 times from 1962 – 1970. As a result of NAP’s struggle during this decade, the One Unit was discarded and Balochistan got the status of a province. In 1970, General Election were held in Pakistan in which the NAP managed to get a majority in Balochistan and N.W.F.P while the Pakistan People’s Party got most of the seats of Punjab and Sindh. Mir Gul Khan Nasir won a seat in the Provincial Assembly after defeating a big landlord of Chaghi. East Pakistan broke away from Pakistan and Bangladesh was formed because of controversy that arose over the election’s results. After the fall of East Pakistan, Bhutto wasn’t willing to allow the NAP to form it’s governments in N.W.F.P and Balochistan. But as a result of extensive dialogue held between Z.A.Bhutto and Ghaus Bakhsh Bizenjo, NAP was able to form coalition governments in both the provinces in 1972. In Balochistan Sardar Ataullah Khan Mengal was elected as the First Chief Minister of Balochistan while Mir Ghaus Bakhsh Bizenjo became the Governor. Gul Khan Nasir was the Senior Minister in this Government and held the potfolios of Education and Health etc. As the Minister of Education, Gul Khan managed to lay down the foundation for the Bolan Medical College which is, to this day, the only medical college in Balochistan. During this time differences had arisen between Nawab Akbar Khan Bugti and the rest of the NAP Leaders. Bhutto, who was looking for a way to remove the NAP Government, saw this and used Akbar Bugti to dismiss the NAP Government. The N.W.F.P Government resigned in protest. Governor’s Rule was imposed with Nawab AKbar Khan Bugti as appointed as the Governor of Balochistan. Three months after the dismissal of the NAP Government, Gul Khan Nasir was arrested on various charges before any other leader. In August 1973 Mir Gul Khan’s brother, Mir Lawang Khan died in an operation carried out by the Pakistani Military. Mir Gul Khan’s younger brother, Colonel Sultan Mohammad Khan (who was the head of the Balochistan Reserve Police), was arrested the day he returned to Quetta after burying Mir Lawang Khan. Alongwith Colonel Sultan, Ghaus Bakhsh Bizenjo, Ataullah Mengal, Khair Bakhsh Marri and Bizen Bizenjo were also arrested. Since all this happened during Akbar Bugti’s regime therefore there was a lot of anger against him in Balochistan at that time. Mir Gul Khan Nasir wrote a lot of poems against Bugti during his imprisonment. Later, a commission known as Hyderabad tribunal, was set up and Mir Ghaus Bakhsh Bizenjo, Sardar Ataullah Mengal, Gul Khan Nasir, Nawab Marri, Wali Khan, Qaswar Gardezai, Habib Jalib and many others had to defend themselves in a treason case infront of the tribunal. While in prison differences arose between the Baloch Leaders. After the ouster of Bhutto’s government by General Zia-ul-Haq, negotiations for the winding up of the Hyderabad tribunal and the release of all detainees was initiated leading to their eventual release in 1979. On their release, Ghaus Bakhsh Bizenjo, Gul Khan Nasir and Ataullah Mengal brought back their followers who had taken refuge in Afghanistan while Khair Bakhsh Marri and Shero Marri, themselves, went to Afghanistan. Sardar Ataullah Mengal also left for London. Gul Khan Nasir and Ghaus Bakhsh Bizenjo joined Wali Khan’s National Democratic Party. After sometime, Ghaus Bakhsh Bizenjo had a falling out with Wali Khan over the Saur Revolution of Afghanistan. Mir Ghaus Bakhsh and Mir Gul Khan left the NDP and formed the Pakistan National Party or PNP. Ghaus Bakhsh Bizenjo was elected as PNP’s President while Gul Khan Nasir became the President of PNP Balochistan. Even though Gul Khan had joined Mir Ghaus Bakhsh’s party, he was of the opinion that the Baloch should not be pushed into another term of turmoil by pitting them against the Martial Law Regime but rather they should be educated, trained and made ready for the future conditions that might change the situation and geography of the subcontinent. But Mir Ghaus Bakhsh Bizenjo thought that the Martial Law should be fought head on to make democracy in Pakistan stronger. 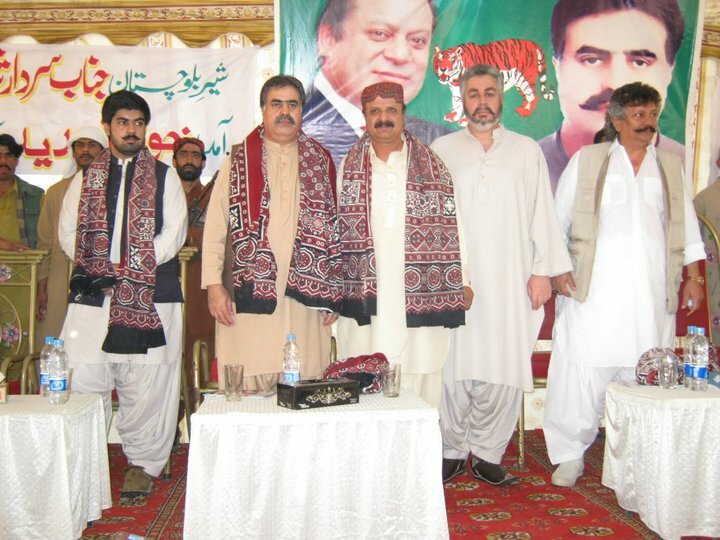 The Establishment, taking advantage of the situation, set the state machinery into motion and by using different tools, especially the media, aggravated the differences between the two leaders to the extent that Mir Ghaus Bakhsh Bizenjo demanded a resignation from Gul Khan Nasir which Gul Khan refused to tender in. But after the lapse of some more time, Mir Gul Khan tendered in his resignation and concentrated all of his abilities towards his literary work. Mir Gul Khan Nasir was arrested on several occasions from 1939 to 1978 on many different charges, all of them pertaining to politics. He collectively spent almost 15 years of his life in jail. Gul Khan Nasir wrote poems in Balochi, Urdu, Farsi (Persian), Brahvi and English. Most of his poems are in Balochi language. He was good friends with Faiz Ahmed Faiz. Once Faiz Sahib offered to translate Mir Gul Khan’s poems in Urdu but Mir Gul Khan turned down the offer. Most of Mir Gul Khan Naseer’s Urdu poetry was written between 1933 – 1950 and there has bee no publication of his Urdu poetry to this date. Gul Baang (1951) was his first collection of Balochi Poetry. History of Balochistan (1952) (Urdu) Volume 1 – After much research Mir Gul Khan published this book which consists of 340 pages. It is a history of the Baloch Race and removes many mis-conceptions about the Baloch which were prevalent at that time. History of Balochistan (1957) (Urdu) Volume 2 – This volume consists of 15 chapters and deals with the history of Balochistan from Khan Khudadad Khan to Khan Ahmedyar Khan until 1955. Daastaan-e-Dostain o Sheereen (1964) is considered to be one of the best books of Mir Gul Khan Nasir. In this book he has penned the classical Balochi Love Story of Dostain and Sheereen. In the preface of this book the famous Baloch poet Azad Jamaldini called Mir Gul Khan “The Greatest Poet of the Balochi Language”. Koch o Baloch (1969) was a book in which Mir Gul Khan, through intellectual reasoning proved that the Brahvis and the Balochis actually came from the same race. Garand (1971) is an important collection of Mir Gul Khan Nasir’s poems. Balochistan Kay Sarhadi Chaapa Maar (1979) is an Urdu translation of General Dyre’s “Raiders of the Frontier” by Mir Gul Khan Nasir. Seenai Keechaga (1980) is a Balochi translation of Faiz Ahmed Faiz’s “Sar-i Waadi-i Seena” by Mir Gul Khan Nasir. Mashad Na Jang Naama (1981) – Mir Gul Khan Nasir completed this Brahvi book when he was a student in the 8th grade but it was published in 1981. Shah Latif Gusheet (1983) is a Balochi translation of that part of Shah Abdul Latif Bhatai’s poetry which concerns the Balochs. Gulgaal (1993) is the ninth compilation Mir Gul Khan’s poetry. Shanblaak (1996) is Mir Gul Khan Nasir’s tenth collection of Balochi Poetry which also includes Urdu translations by himself. Mir Gul Khan Nasir was posthumously awarded Sitara-i Imtiaz (President’s Award) in 2001 for his literary services. Other Sitara-i-Imtiaz winners that year were Dr.Ilyas Ishqi, Professor Dr.Allama Naseer-ud-din Nasir and Kishwar Naheed. In 1962, when the USSR government decided to award Faiz AHmed Faiz with the Lenin Prize, they also wanted to present Mir Gul Khan Nasir with the Prize but because of his (Mir Gul Khan’s) differences with the Ayub Khan Regime of that time, he wasn’t allowed to go to Moscow. Mir Gul Khan Nasir was named the Baloch of the Century in a poll conducted by Intikhab Hub whose results were announced on 24th April, 2001. A Site About The People’s Poet of Balochistan, Mir Gul Khan Nasir. Baloch nation needs an answer to these actions of your son. Please explain. Subject: [Baloch_Culture] Baloch struggle not for titles, perks, privileges of few: A.F.B. WASHINGTON DC: The pro-independence American Friends of Balochistan has reposed its full confidence on the leadership of the Balochistan National Front and called upon the Baloch people and Baloch Diaspora to beware of elements who are either trying to make a fast buck out of the yeoman sacrifices of Baloch freedom fighters or tarnishing their image by making frivolous statements against them. “If ever the Baloch use the title of His or Her Highness it should be reserved for members of the families of martyrs, sarmachars and those who have been forcibly disappeared by the state of Pakistan and Iran,” the A.F.B. said. “Let this be heard loud and clear, the Baloch are not dying or sacrificing their all for the perks, privileges, power or titles of a few. Balochistan is destined to become a free secular democracy where everyone will be equal black or brown man or woman, Muslim or Hindu or Jew or Christian,” the A.F.B. said in a statement Friday. The A.F.B. said it considers itself answerable to the Baloch masses and will keep a check on unscrupulous elements who are trying to hoodwink friendly entitities, including governments, states and organizations. The A.F.B. said it recognizes the B.N.F. as the main and genuine representative of the Baloch people and condemned those elements who do not represent anyone but themselves for trying to cash in on the Baloch struggle here in the U.S.A. The A.F.B. appealed to all friendly entities to check the antecedents of individuals, their role in the daily struggle of the Baloch people and their public utterances against those who sacrificed their lives like Shaheed Ghulam Mohammed Baloch and Shaheed Balach Marri. The A.F.B. said it has full faith in the liberation ideology of Baba-i-Azadi, Waja Khair Bakhsh Marri as translated into action by sacrifices of the young martyrs like Qamber Chakar and Ilyas Nazar and countless others in the BSO Azad and organizations such as Balochistan Republican Party, Balochistan National Movement, Balcoh National Voice. The A.F.B. said its stand on issues, events, personalities is based upon the collective wisdom of the B.N.F. component parties. The A.F.B. is the largest and most effective American-Baloch organization in the U.S.A. So called AFB run by Ahmar, with questionable credentials attacked Baloch movement and individuals showing to Baloch people the real faces and agenda behind the acts. His article makes one laugh to content, as he do not understand basics of Baloch culture and equally shocking is he is been hired by Harbyar Marri and his brothers . His latest article( posted at the above) is the evidence that indicate for whom he is working and who are the ultimate beneficiers. No matter how hard this Ahmar aka bugga work for the hidden faces sitting in London and enjoying luxuries by selling sacrificed Baloch blood, they are destined to fail. People who hired this fag must be aware that they must issue a statement that a free independent Balochistan will be a Secular, Sardar-free Balochistan with equal rights for all citizens where rule of law is respected by anyone who comes to power in a democratic way. This purported journalist, head of AFB must understand sensitivities of Baloch, and the difference between a Martyr and His Highness ( See below) before asking anyone to accord the title of “His Highness” to families of fallen Baloch heroes who had shed their blood for our freedom, liberty and culture , fighting poki army. A kid will prefer to belonging to Martyr’s family over fake, mundane title “HH”. This only imply that this Burmee Baloch (Half baked baloch) did not assimilated properly in our baloch community in spite of purportedly living so long in our balochistan who later sought asylum in America claiming to be a endangered Bugga of Balochistan. Martyrs will live forever in the hearts and soul of people compared to the title “HH” which goes with his kafan of the bearer and cease. Families of Martyrs love to be called as Family of Saheeds By uttering this he insulted our Martyrs, we at Sardar Watch appeal to all common middle class Baloch and families of Martyrs to demand from this Half Baked Burmee Baloch to retract his statement and apologise for his remark. We demand Baba-e-Azadi aka Waja Khair Bakhsh Marri (e = electronic) to think twice before employing this man to do your con job. DOES KHAIR BUX MARRI BELIEVE IN AAZADI ? NO .Here is the proof from a man who fought for liberation from the trenches of war zone. AFB opposed Bangkok Conference , his campaign was supported by Baba-e-Azadi” ) (Baba of Electronic Azadi) Khair Bux Marri and equally corrupted Sons based in London, Dubai who things Balochistan National movement as proprietary business with monopolistic view. Semi literate Sons of Khair Baksh who didn’t graduated from college wish to dream of ruling Balochistan like Royal Fmily of Saudi or UAE by pushing Baloch people into dirt poverty , denying education and engaging back door discussions with Pakistani Army. 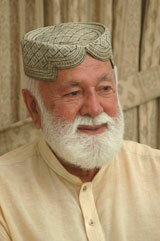 Sardar Watch condemn Waja Khair Bakhsh Marri and his Ayash Sons for not intervening and condemning. Here is a glimpse of past, reposted. Hope this will open eyes. Was Nawab Khair Baksh Marri ever on the forefront of the armed movement? Asad Rehman say ” No”, his role was a political leader’s role. Khair Baksh Marri, swindled money and ordered search of women. “Khair Baksh ordered Mir Hazar’s weapons taken away when they were returning to Balochistan and it is also alleged that he had Mir Hazar’s women searched. This is of course is against all Baloch customs and honor.”. A man of such low moral fiber violates Baloch customs and honor, can never be leader of baloch people. Every self-respecting Baloch must neither forget this nor forgive him. This is some kind of joke? People are dying and disappearing in Balochistan and so much time and energy is wasted on the merits of holding a conference? This is what political leaders–and political enemies–AROUND THE WORLD do to They meet in small· · ·resolve their differences–they MEET to hash things out. groups. They meet in large groups. Whoever is available. And then they return to their corners and revise and fine tune their ideas. Ms.Wendy Johnson from US who runs thebaluch.com website rightly point to the people that as of now there are no general election in to claim anyone as leader of Balochistan. Here is the definition that can help some psychopaths to understand “ When I refer to leaders in my note above, I am not referring to any current tribal, political or resistance leaders. I am referring to the fact that (as far as I know), Balochistan is not yet independent. Its citizens (the general public) have not participated in a general election to elect a president, prime minister, etc. I was simply trying to point out that if I knew my ‘enemies’ were going to attend a conference, I would be the first one to show up, express my point of view and participate in an honest debate. Democracy is messy and noisy and rightly so–there is much to be worked out in every non-autocratic society. Thank you, Wendy Johnson” Message to Khair Baux & Sons Ltd We working middle class Baloch do not follow you. Or some people do not follow you. You & your Sons are NOT fit to be our leaders. Do you have any problem? Don’t we have right to form an organization and fight the enemy in our way? Do you believe in Democratic principles and values or principles of Stone Age era. We apeal to all baloch people to recollect the way khair baux sons opposed Bangkok confefence, in the same way they want to oppose this conference. Balochistan belong to baloch people not to sardars. DEATH TO SARDARI MENTALITY . LONG LIVE DEMOCRATIC BALOCHISTAN. Khair Baux and Son’s are biggest traitors of Baloch nation, they think Baloch nationalism is family property. Any middle class Non sardar initiative is opposed by these shamless group. SHAME ON YOU! Congratulations on organizing such a great event in the crucial time of our history. The success or failure of the event depends on who do you invite and what they will say. If you invite sincere and freedom supporters, then the conference will be a great step forward in the movement of Baloch freedom struggle, on the other hand if you invite the ones who are close to the Pakistani establishment and asking for water supply and a sweeper or security job, then you may succeed in getting some promises from the masters. My humble request is, please make sure you invite the people who are freedom supporters, not supporters of the Pakistani establishment including groups and supporters of Hazar Khan Bijjarani and his son and Ahmedan Bugti and self created heroes who are projecting themselves by selling sweet words and lies to the Baloch nation and the world, like Munir Mengal, these people should not be present there. They will cause more damage than we can expect. Wish you and the Baloch nation a very successful conference. Baloch Society of North America is going to organize a one-day international conference on Balochistan on Saturday April 30th, 2011 in Washington DC.